Automobile and motor vehicle accidents and injuries. Car Accident Law is most likely the largest section of Personal Injury or “Tort” Law. Auto accidents cause more personal injuries than any other accident. Resolving disputes is not always a simple matter, nor is handling matters both before and while a case is being litigated in court. In addition to dealing with pain and suffering, an accident victim needs to answer these questions: Who pays for damages to my car? How will I pay my bills while I am unable to work? Who pays for my medical bills and hospital expenses? 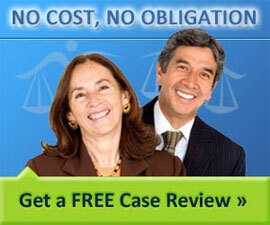 In most car accident cases, liability is determined by the negligence or fault of each driver. This is calculated by determining the extent of the injury to yourself and your property as well as the percentage of fault is assigned to you and to the other driver. Immediately after an accident, you should use best practices to preserve your case so that you can obtain a superior settlement and arrange for assistance with your injuries. Speaking to an auto accident attorney is usually advisable as soon as possible after an auto accident and prior to trying to settle this case with the other driver or the insurance company.